There were 34 of these deadly events, between 2000-2016, according to statistics gathered by the FBI and Advanced Law Enforcement Rapid Response Training (ALERRT). In most cases, there isn’t a pattern or method to the selection of victims. As a result, these situations are “unpredictable and evolve quickly,” according to DHS. Retailers, who may feel like victims in these situations, can be held liable for these tragic situations under state and federal Occupational Safety and Health Administration (OSHA) laws. Wolf is the president of Incident Management Team and the director of The Center for Workplace Violence Prevention. The West Bloomfield organization received a grant from Michigan Occupational Safety and Health Administration (MIOSHA) to do free active shooter survival training programs across the state through the end of 2019. Although MIOSHA doesn’t investigate the deaths of employees killed in workplace violence or include them in its annual fatality report, the state agency is concerned about the issue, MIOSHA Director Barton Pickelman told the Retailer in an email. “Consultation Education and Training (CET) grants help to supplement MIOSHA staff activities, especially where MIOSHA may not have jurisdiction or clear authority. The competitive grants are provided to nonprofit organizations so they can provide training and education in emerging safety and health issues and to extend MIOSHA’s impact,” Pickelman said. Michigan State University, which tracks workplace violence, reported that 22 people died in workplace violence, accounting for 13 percent of the 162 workers killed on the job in 2016, according to the most recent data available. The retail industry has the highest percentage of work-related homicides in the state, said Michigan State University professor Kenneth D. Rosenman, chief of MSU’s Division of Occupational and Environmental Medicine. He says more could be done to protect workers such as not letting them work alone, increased lighting, security cameras and better training about how to respond when threatened with a weapon. Coordinate an emergency response plan with local law enforcement, emergency management or a landlord that includes an emergency evacuation procedure. Train staff to identify pre-attack behaviors from potential perpetrators, such as disgruntled customers, opportunistic criminals or a person with mental illness and violent tendency. Train staff and hold drills to rehearse what to do in an active shooter attack: escape, barricade in a safe place or attack when the opportunity presents itself. Have an emergency notification system — like a panic button — to alert security and/or law enforcement. If employees are going to turn the tables and attack the shooter, the best time is when he is reloading, points his weapon down, turns his back or there is a weapon jam. Experts refer to active shooters as men because, in most cases, they are. Active shooter events are chaotic and occur very quickly. Most last between 10 and 15 minutes, according to DHS. “Employees need to understand that they are the first responders and police are secondary responders. They have to think of how to survive during this time gap of police response on site and until the gunman is neutralized or taken down so he or she doesn’t pose a threat. So that’s what the training is all about,” Wolf said. The goal of the training is both skills acquisition and giving employees the confidence to make the best decision if something happens. High employee turnover does not relieve management of the legal responsibility of adequately training and supervising employees, because the customer doesn’t know who is a longtime employee and who is a temp, according to Wolf. One affordable way to do in-house training is with a video as part of the orientation process. “The beauty of a video is you control the content, so if you have one employee or you have 3,000 in one state or 48 states, everyone gets the same message,” Wolf said. The video — or evidence of training — is likely going to be crucial if your business is sued by someone injured or the family of someone killed. “The right question to ask if there’s an incident and you get sued is can you prove you did everything in terms of best practices to protect your employees and your customers,” Wolf said. There’s significant litigation surrounding any kind of active shooter situation, or other workplace violence, for that matter, according to Norman Hawkins, a labor and employment attorney in Grand Rapids. He says an employer’s negligence, such as lax security procedures or failure to respond to threat warnings before an incident, could be grounds for a lawsuit. “Anytime you have a sudden traumatic incident like that, you are going to have family members, looking for resolution and answers and closure and financial compensation. Even if there’s no death, the people who are seriously maimed are going to almost be compelled to file some kind of litigation to pay for medical bills and other costs,” Hawkins said. 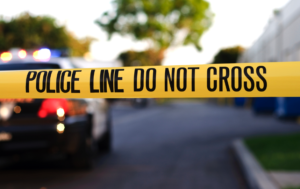 The costs associated with these unpredictable tragedies is the reason insurance companies have begun offering workplace violence policies in recent years. Employees injured in the workplace usually are covered by workers’ compensation even if the employer is deemed negligent. “It is important for organizations to understand terms, conditions, and coverage issues that may determine how a CGL (commercial general liability) policy responds,” the paper recommended. For information about MIOSHA’s Active Shooter Survival Training programs, contact Dr. Wolf at kwolfphd@theimt.org.